And so there we have it ladies and gentlemen. The Tautua Samoa Party has finally gotten it together, kicking off the new year in style with major promises a couple of months from the General Elections. Typical election promises, some people might say, but it’s a start nonetheless. You have to make a start somewhere. And sure it might have taken while and we hope it’s not too late for their chances but the promises are attractive to say the least providing they they can answer the most critical question which is how they plan to make all this happen. The thing is that it’s easy to make promises. Anybody can do that. The real challenge, however, lies in implementing and delivering on promises. That is where you separate pretenders from the real contenders. Having said that, we don’t want to rain on the Tautua Party’s plan too early. It’s important that we let them breathe and perhaps over the next few weeks allow them the opportunity to enlighten us on how they plan to make all this happen. From a quick glance at what has been offered so far, it appears they have done their homework. Take for example promises such as a multi-million-tala National Education Fund and doubling the retirement age pension. These are impressive promises. Who doesn’t want free education all the way to college and possibly tertiary? And what retiree in their right mind will say no to an increase in pension, especially when its 100 per cent? The Tautua Party is also proposing free health care for children up to five years old – including medication, there is a proposal for a Medicare-type insurance scheme to cater for health needs, increase in salaries for health workers as well as returning the Motootua to being a 24-hour operation. Palusalue added that health care in Samoa has become very expensive and many people simply cannot afford it based on their income levels. 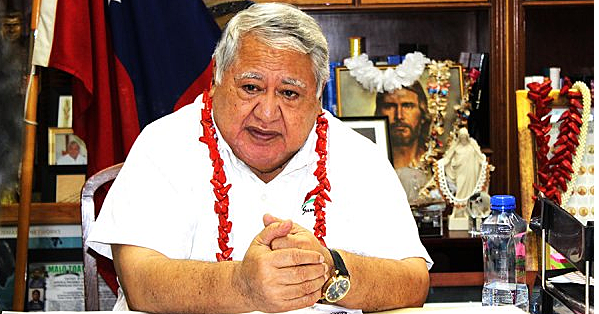 Away from health, education is also on top of their agenda with the proposal to establish a branch of the National University of Samoa in Savai’i. Improving community governance is also vital. Part of this include a plan to set aside funding from the Budget whereby individual districts could apply to use for projects depending on the need of the constituency. Such a Fund will cover projects including basic road works, electricity, water and other utilities. Speaking during their weekly press conference, leader Palusalue was quite optimistic. “These are not just words for the sake of making a promise,” he declared. These words are sure music to thy ears. Who doesn’t want to hear that Samoans deserve the best? We all deserve the best, don’t you think? But how are they going to implement all this? And when?